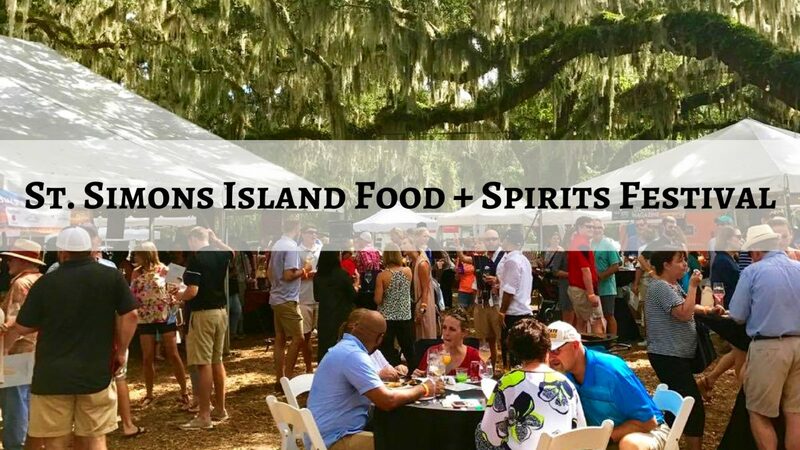 Okay guys, I know you have been waiting to hear about my time at the St. Simons Food + Spirits Festival, so here I am! 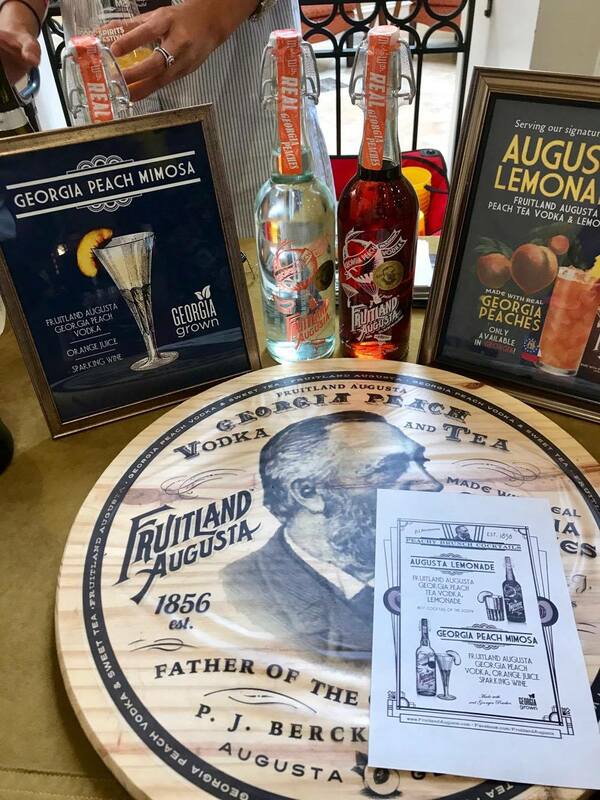 As you may have heard, I won the grand prize package to the St. Simons Food + Spirits Festival concert, which included two VIP Passes to the festival. 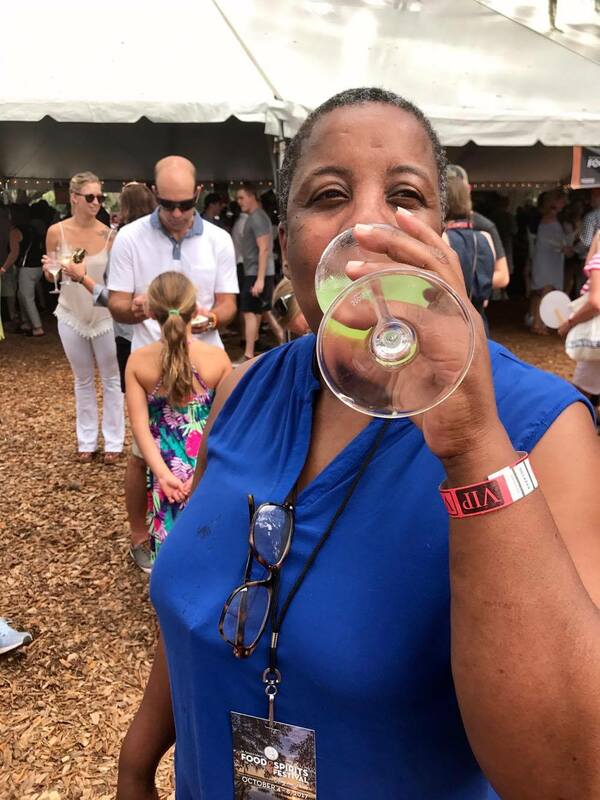 I decided to take my mom on the trip, and neither of us had been to a food and spirits festival before, so we were definitely excited to see what that weekend had in store for us. 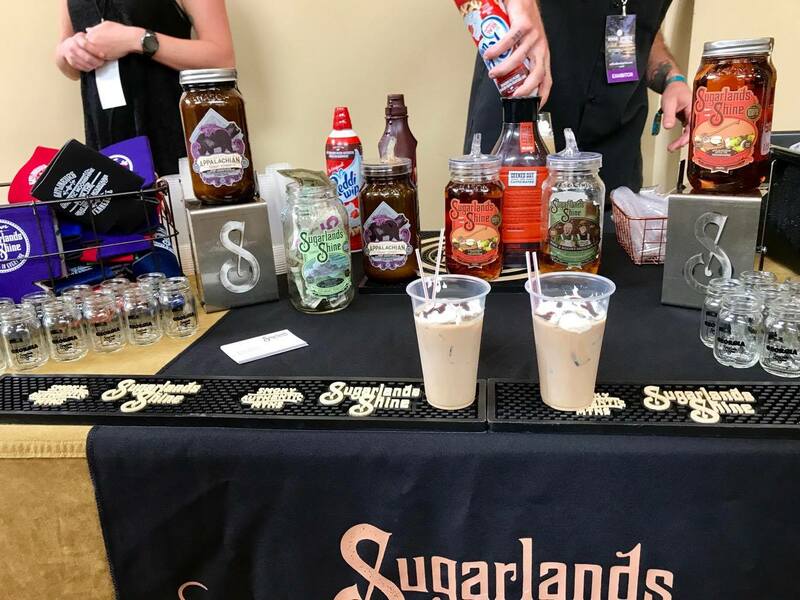 The St. Simons Island Food + Spirits Festival kicked off on Wednesday, October 4th and lasted through Sunday, October 8th. Our tickets were good from Thursday – Sunday, but due to time constraints of work and school, and hitting traffic, we unfortunately missed the Thursday night event. That didn’t deter us from having a grand time though! 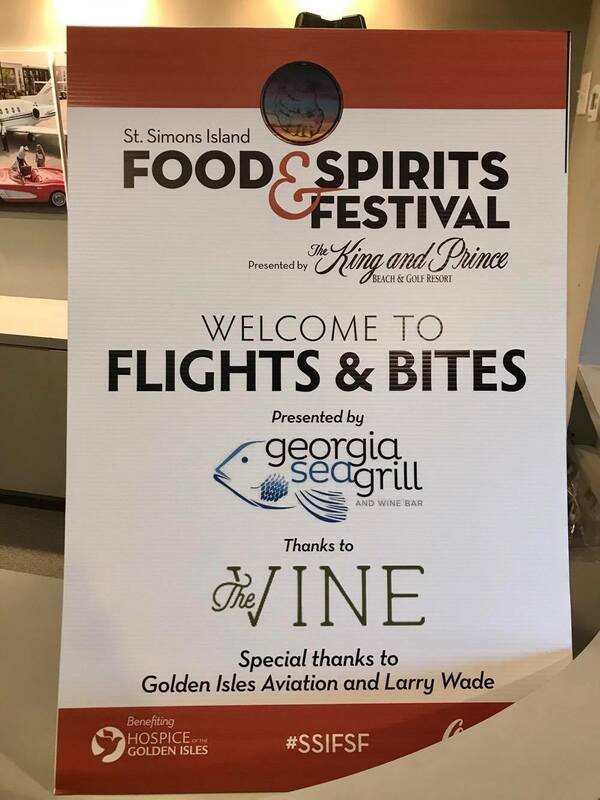 So we started off our festival experience on Friday evening with the ‘Flights & Bites’. 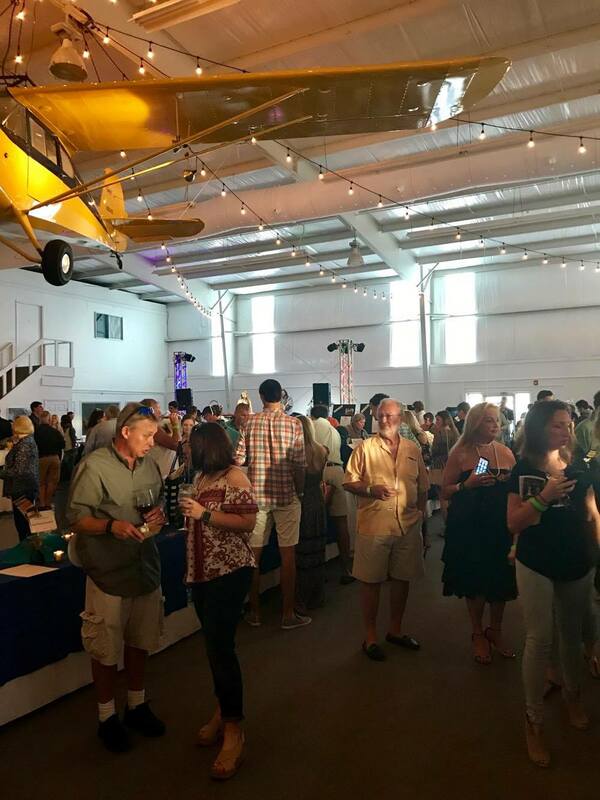 The event was held at the local airplane hanger, and the cars parked on the runway! Before we even walked in, everything seemed so fancy, and to be honest – we felt a little bit out of our league. We found the will call line, and picked up our tickets, and got in line to enter the building. Upon entering, we were given a souvenir wine glass, and the option to get a bid number for the live auction happening later in the evening. As we crossed over into the next room, we were immediately overwhelmed with the sheer number of people milling around, and the number of tables set up. We didn’t know where to start, so we just stood there awkwardly for a few minutes, taking everything in. There were tables lined up in the middle of the room for the silent auction they were having throughout the evening. There were various goods and experiences to bid on, and you had to put down your name, phone number, and the amount you were willing to pay for the item. 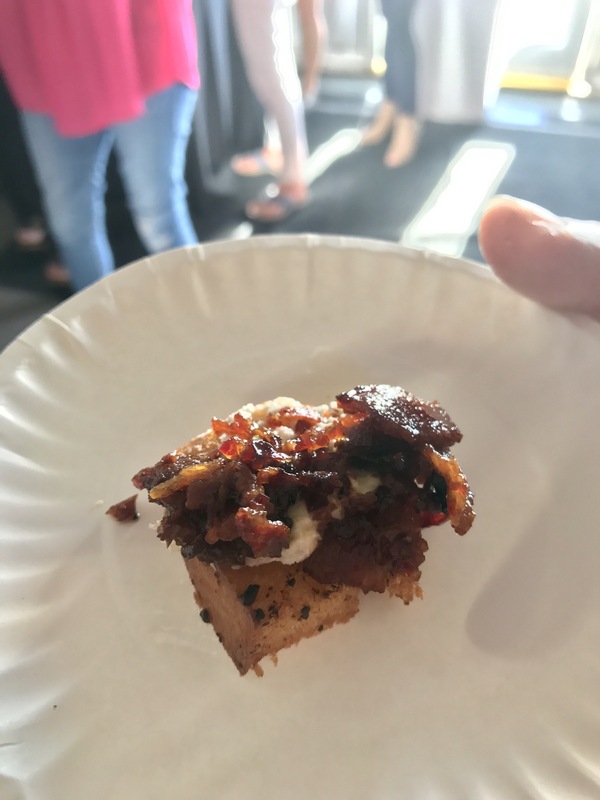 Bacon Jam – This honestly may have been my most favorite thing from the whole weekend. It was honestly so amazing! Rice + Chick Pea Salad – This was quite surprisingly tasty. Both Mom and I enjoyed it very much! 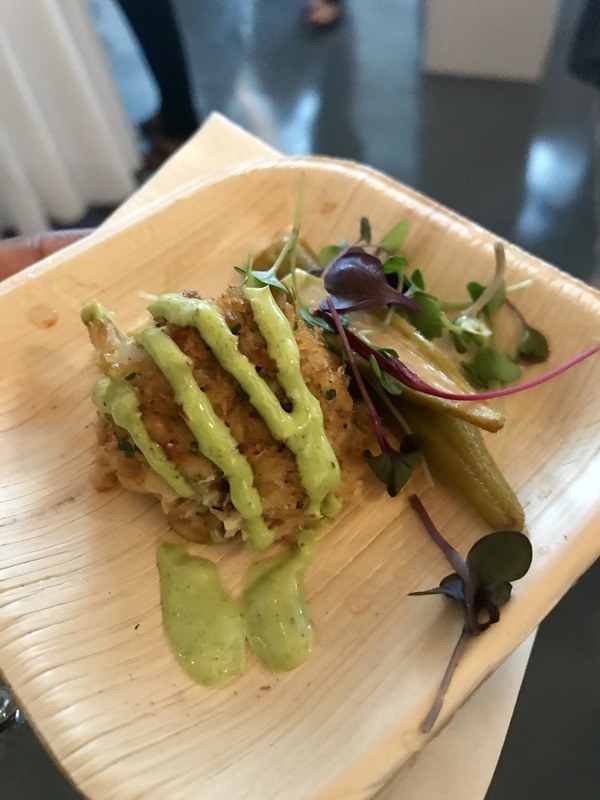 Salmon Cake + Pickled Okra – I got mine without the spicy jalapeno sauce. So different, so tasty! 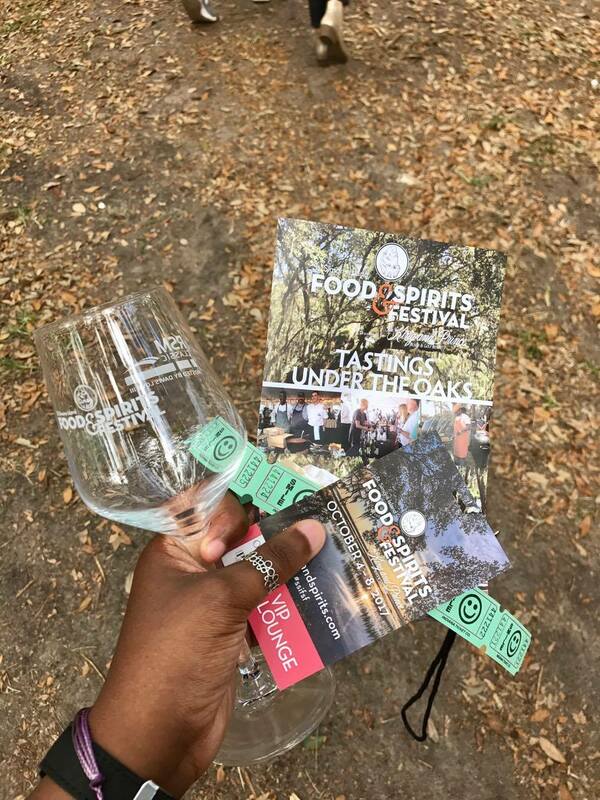 The next day, the event: Tasting Under the Oaks, took place during the afternoon. Man, was it hot. I was in shorts and a tank-top and that still didn’t help the situation, but despite the heat, we had a fabulous time! Sadly, all good things must come to an end. 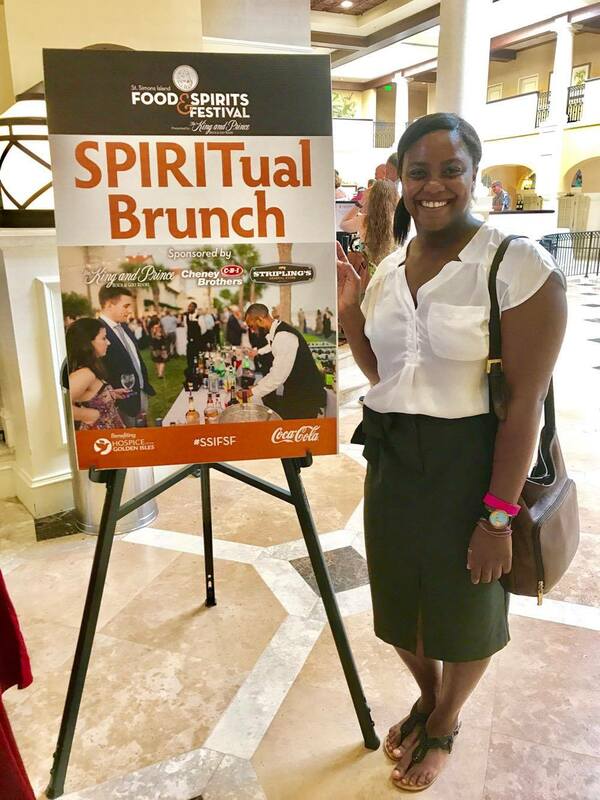 The last day was the SPIRITual Brunch. I thought it was a pretty funny and clever play on words. The event took place at The King and Prince Beach & Golf Resort. As we were staying at the resort, it was super convenient to get there in the early afternoon and we made some new friends while waiting for them to finish setting up. 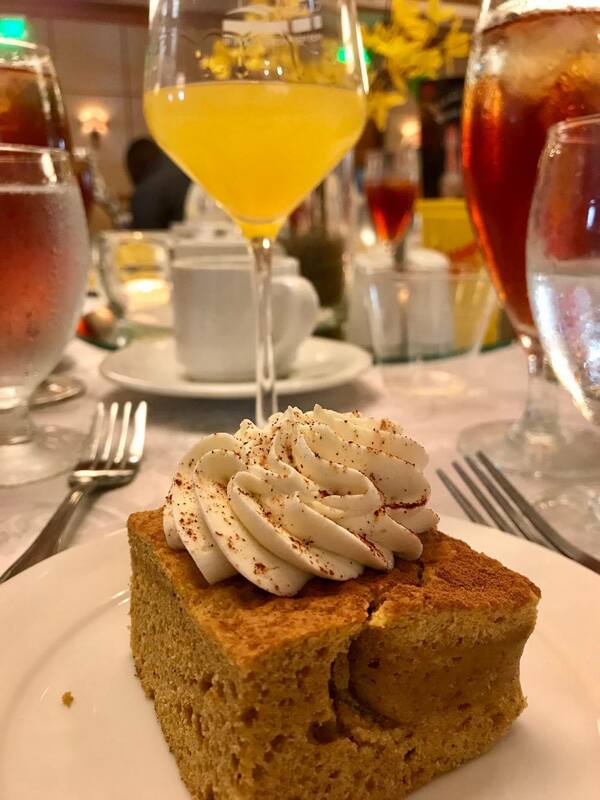 Once the event started, we received yet another souvenir wine glass, and were introduced to the various drink options before entering the room where all the food was laid out buffet style! Mom and I quite enjoyed the mimosas, lemonade, and this wonderful coffee concoction! I couldn’t have picked a better way to end our festival experience. We ate some delicious food, drank some fabulous drinks, and sat with a group of very interesting people. Right afterwards, we reluctantly got in our car and made our way back home. 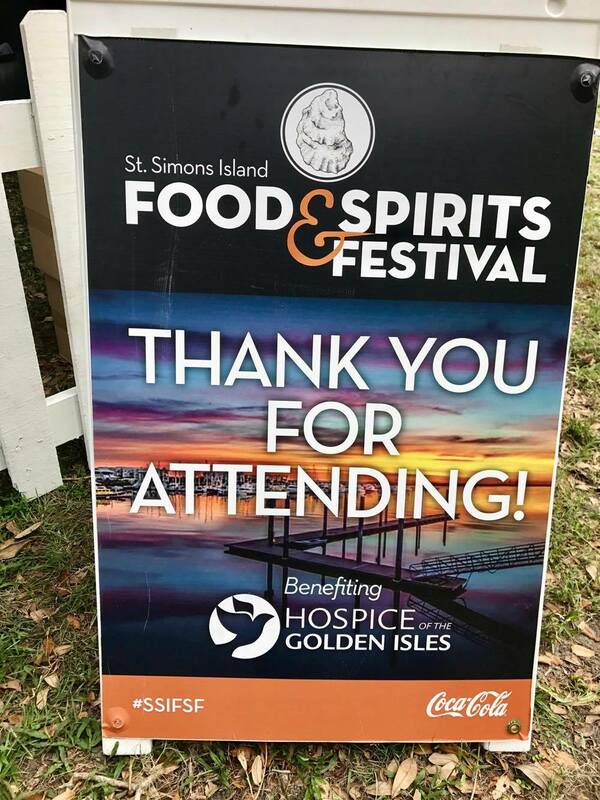 Overall, Mom and I both enjoyed our time at the St. Simons Food + Spirits Festival. 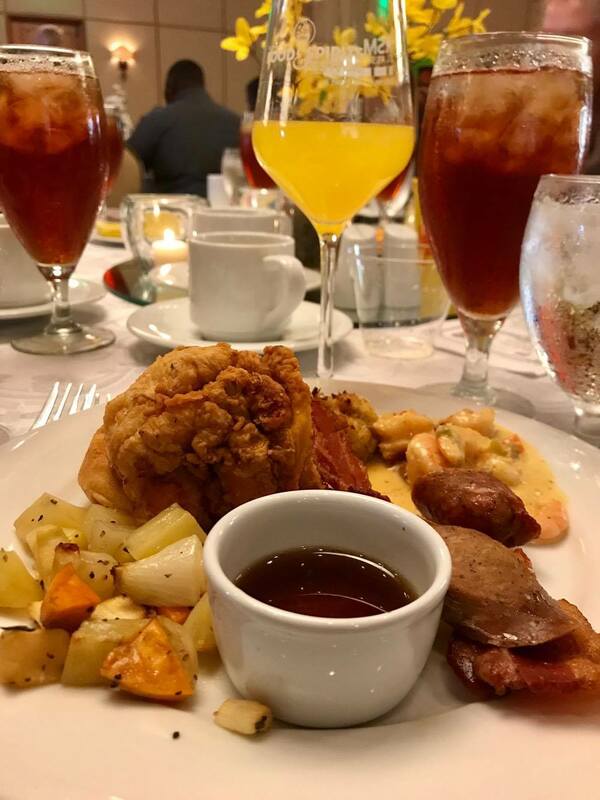 What’s even better than getting to experience it all though, is knowing all the proceeds goes to support the local hospice community on St. Simons Island. I thought that was pretty amazing! I would 100% recommend this festival to anyone who is interested in going, or who is on the fence. It’s definitely an experience to have, and you also get to meet some pretty cool people as well! What about you? 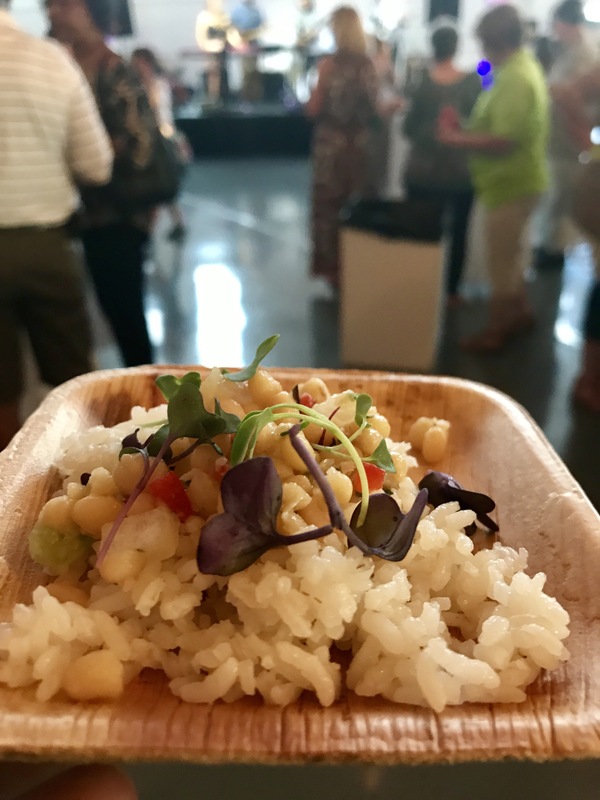 Have you ever attended a food and/or spirits festival before? What was your favorite part? Let me know in the comments! Looks like such a fun time, I love attending these kind of events! It was! I definitely need to start attending more! Oh, I love food festivals. Here in my hometown, we have several ones during the whole year. A French one, a Gourmet one, Wine tastings, Street food festivals etc. Even a Sushi fest. It is so much fun and awesome to try so many different sorts of food. 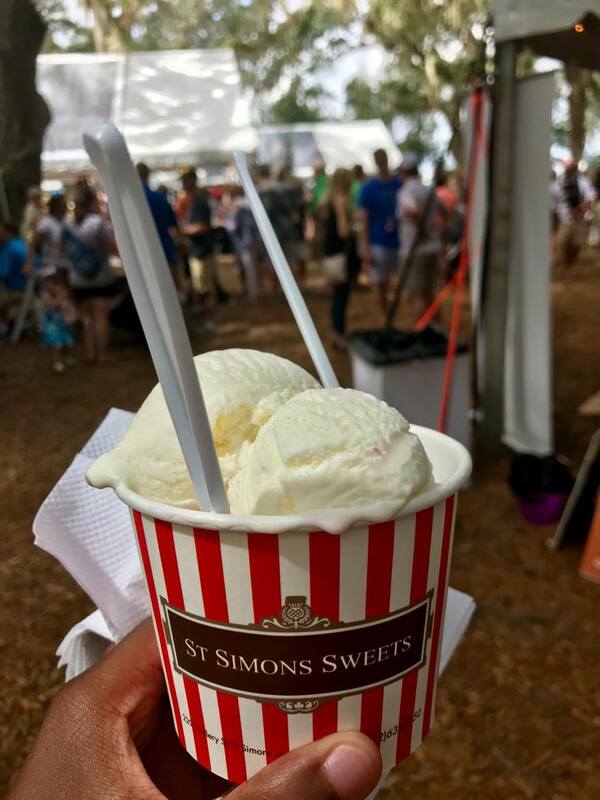 The St. Simons festival looks great and the food looks delicious. I´m happy that you and your Mom had a great time. 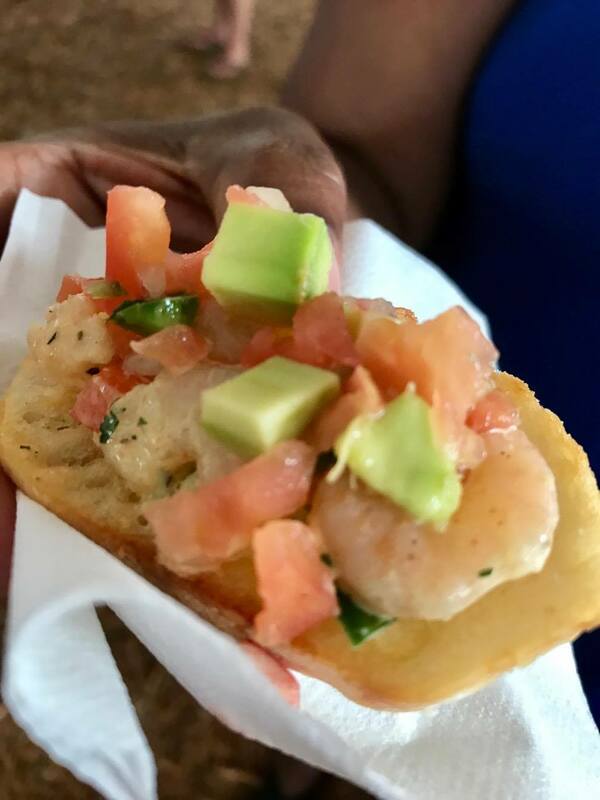 This festival looks amazing – such a variety of food and the quality of the dishes. 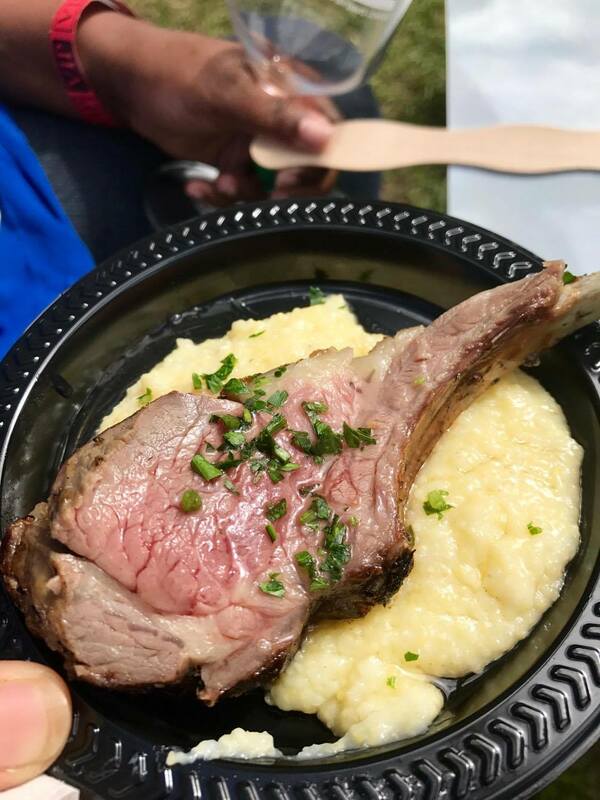 It definitely ranks as one of the better food festivals to visit. Such a great festival! I was pleasantly surprised for sure. The food was so good!! I used to visit St. Simon’s Is all the time! It’s such a beautiful place. This food event sounds fantastic! What a fun event!!! Wow wow wow, all of that food has my mouth watering, looks so delicious!! So happy you and your mom enjoyed yourselves, y’all are just adorable!! Thank you Monica! You’re too sweet ☺️ and yes, amazing food for all the days we attended! 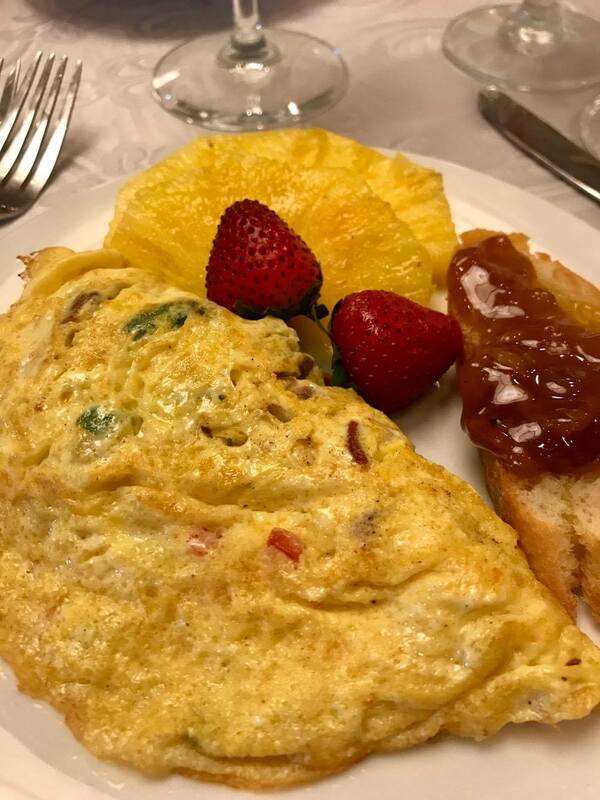 Definitely missing that deliciousness! I love events like this. All the food looks so wonderful! I just found out, so do I! Although I shouldn’t be all that surprised…I love food! Heavens, my stomach is growling now! It all looks so delish! Previous Previous post: Feature Friday: Meet Welile V.